Manufacturer of Alloy Bonded Titanium Carbide MaterialsFerro-TiC® SBC is a specialized manufacturer of parts and components using Steel Bonded Titanium Carbide (TiC). Steel Bonded TiC is renowned for its durability, resistance to heat, corrosion and hostile environments, and its light weight. Ferro-TiC® SBC offers over eleven grades of Ferro-TiC® alloys that can utilized for a wide variety of applications ranging from blanking punches and shear knives to pump rotors and sprockets. Ferro-TiC® SBC provides complete technological and engineering assistance to insure that your part or component is manufactured to your precise specifications using the proper alloy for your application. Ferro-TiC® SBC has been a member of the PSM family since 2001. In December of 2001, PSM Industries, Inc. completed the acquisition of all the assets of the former Alloy Technology International (ATI), a New York based manufacturer of Ferro-TiC® metal bonded titanium carbide products. As a result of this transaction, PSM acquired all the equipment, inventory, the rights to ATI's patents, as well as the Ferro-TiC® trademark. 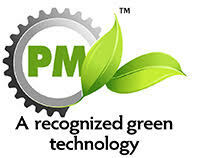 Our Parent Company: PSM Industries, Inc.
As a division of the PSM family of manufacturing companies, Ferro-TiC® SBC can utilize the experience and processes provided by our parent company. 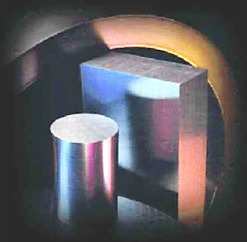 PSM has been in business since 1956 and currently consists of six divisions including Pacific Sintered Metals, PM Krupp High Speed Steels, PolyAlloys Injected Metals, BestMetal Corporation and Yillik Precision Carbides. PSM has been a family business centered on one creative vision . . . to provide the widest range of solutions in parts fabrication through PM technology. Today, PSM sits on a seven-acre campus in the heart of Los Angeles. From its humble beginning, PSM took advantage of breakthrough technology in metal fabrication and helped develop the technology into the powerhouse process it represents today. Today, PSM manufactures a wide variety of precision-engineered PM parts through its four operating divisions. Become a blog subscriber. Subscribers can choose to get email updates daily, weekly, or monthly.